A 41-year-old man accused of going on a crime spree in the East County was arrested Wednesday in Spring Valley, authorities said. Images of man suspected in April 8, 2014 East County crime spree. Photo credit: San Diego County Sheriff’s Department/Facebook. Kevin Knight was arrested near the Wendy’s restaurant at the intersection of Campo Road and Spring Street around 8:30 a.m., according to San Diego County sheriff’s spokeswoman Melissa Aquino. At the time, a deputy was responding to a call about a car burglary in the area when he saw Knight running away, Aquino said in a statement. “The deputy caught up to Knight, but Knight resisted arrest,” she said, adding that the lawman used a Taser stun gun to subdue Knight. He was expected to be booked into Central Jail on suspicion of robbery, home invasion robbery and car theft. The crime spree allegedly committed by Knight began around noon Tuesday and included two commercial robberies, two home invasions and four car thefts in the East County. 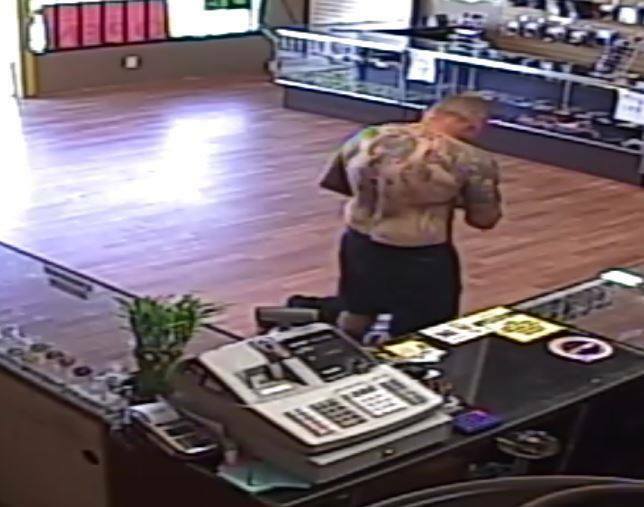 Tuesday evening authorities said they had surveillance video of the tattooed, bald suspect and were actively looking for him.